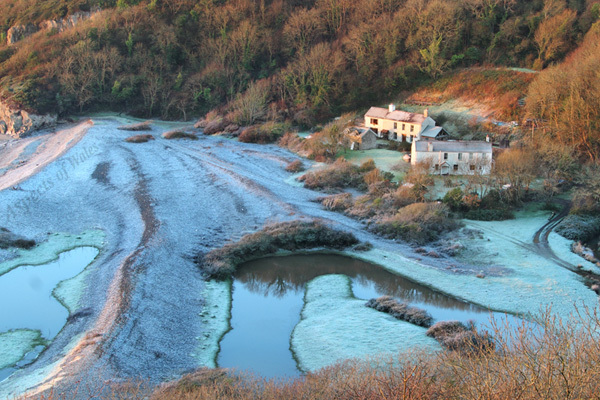 Taken early morning on 13th December 2014, looking down on the hamlet of Pwlldu from NGR SS5757387316. The houses in this photo used to be the public houses that served the men who worked on the limestone quarry in the eighteenth and nineteenth centuries. Canon EOS 7D, Canon EF-S 10-22mm lens at 10mm, Manfrotto tripod. Exposure F11 at 1/4 secs.